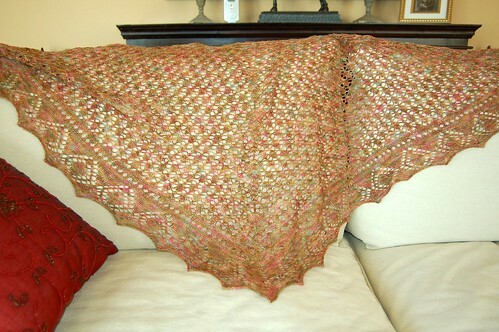 Ok, so lace weight yarn dictates that I knit, well, lace...no? Ok, I admit I have been more adventurous than the average rookie, but c'mon! 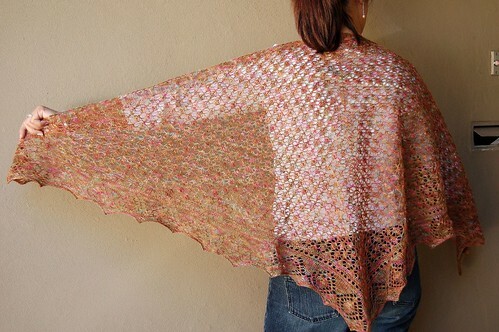 Those lace stoles and shawls look so delicate and complicated and HARD! But I have the Scarf Style book and I see the Ene's Scarf pattern and I think "what the heck! It's just knit and purl. How hard can it be?" As it turns out, not hard at all. I present to you, Petals on the Earth. 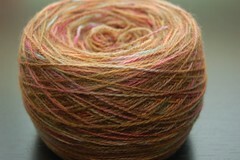 I used, and I'm only guessing, about 700 of the 880 yards on the skein. 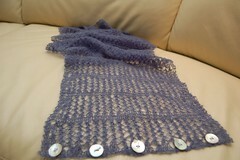 I wish I knew what to do with the left over yarn. 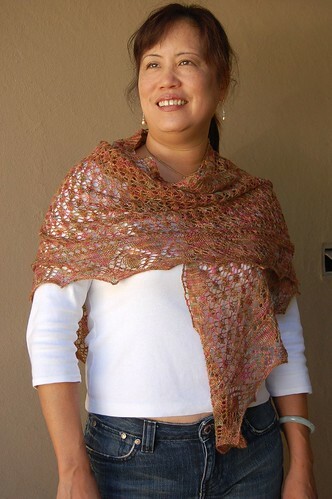 What are other uses for lace weight yarn? A small hat, perhaps? 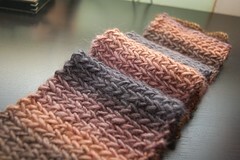 Could I get fingerless mitts out of it? 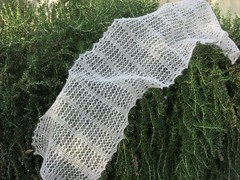 I really enjoyed this process of lace knitting. I mean it was serious fun. This is a problem as I am about as lacy as a mack truck - but I might have to change my fashion sensibility to match my knitting. 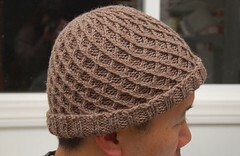 I can't be the first knitter to do this. Next up are more Christmas gifts, wisp scarves for my amazing SILs, finally felt those house slippers from my MIL and a U-Neck vest for me. Yipee! Now we're back. 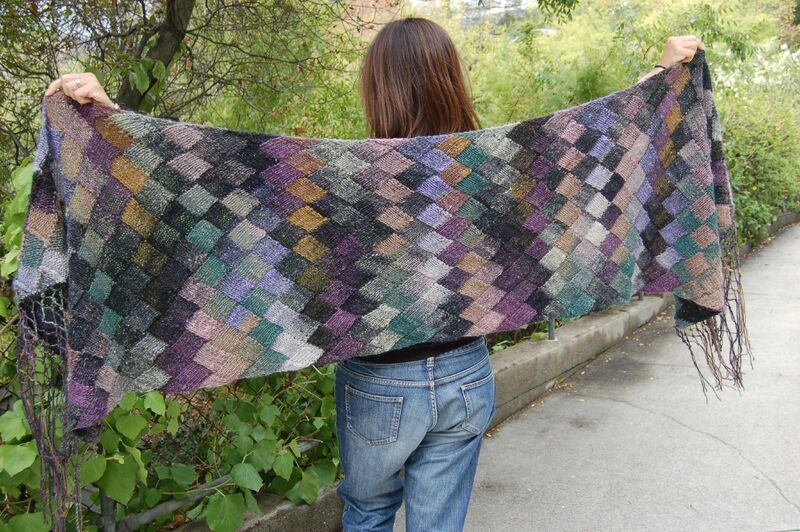 What should I knit?